Every once in a while I’ll stumble upon a new-to-me author and feel immediately compelled to read everything they’ve ever written—preferably before the week is over. Last fall I was burning through Wallace Stegner novels. I re-read Crossing to Safety for the third time in two years, then read Angle of Repose for the second time, then The Spectator Bird for the first. (And then I couldn’t figure out which of his novels to read next and got distracted—but I did just pick up The Big Rock Candy Mountain from the library). At the end of the year I blew through Kristin Harmel’s works. A publisher sent me The Life Intended, then she freaked when I said I’d never read The Sweetness of Forgetting because it was her favorite, and I liked those two so much I found Italian for Beginners. I do the same thing whenever I revisit Jane Austen’s works. I sit down thinking I’m really in the mood to re-read Emma, and before I know it I’ve read three of her six novels, at which point I might as well go ahead and finish them all. I’m always delighted to find an author worth binge reading. For me, sometimes this looks like great literature (Stegner, Austen). Who are YOUR authors worth binge reading? Previous: A few of our weird and accessible family traditions. Next:Links I love and what’s on my nightstand this week. I love Louise Penny. I’m not usually a mystery reader (too scary) but I loved the characters so much. I’ve also binged on Liane Moriarty. Juliette Fay is also great. I’ve read Shelter Me so many times and I still weep and laugh. 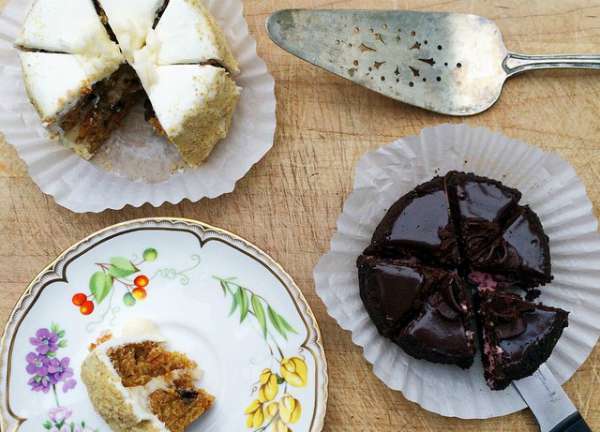 Liza Palmer and Jojo Motes have been two recent binges. I’ve read some of all of these authors (several from your recommendations) and love them all! 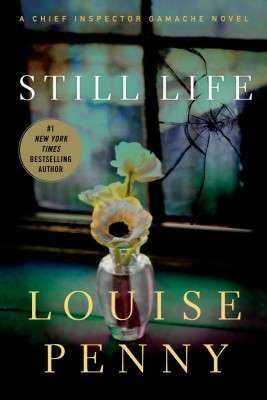 I just started Louise Penny’s series because Still Life was in the Summer Reading Guide. But my library only had Beautiful Mystery on the shelf, so I read that first. I loved it! I like mysteries, but this has so much more than the who-dun-it plot. Thank you for letting me know about such wonderful books! 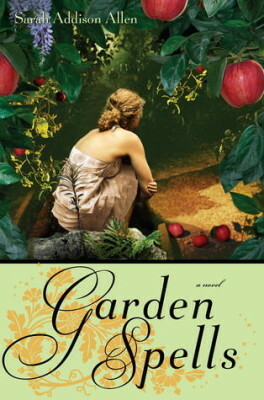 I loved Sarah Addison Allen’s Garden Spells when I read it years ago. I keep meaning to go back and read her other books too. Huge Kate Morton fan here and The Secret Keeper is her best book, yet….you must read it! 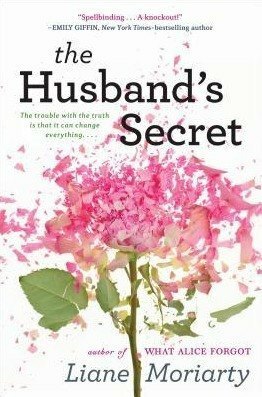 Am I the only one who read “The Husband’s Secret” and didn’t really like it? The secret wasn’t really much of one, and I remember being let down that there wasn’t more to it in the end. It’s been a while, so maybe I need to re-read. I’m also a binge reader, but mostly do it with political thrillers (Flynn,Thor, Berry, etc.). I’ll definitely put these on my list! I didn’t like the Husband’s Secret either, although I loved What Alice Forgot. Sometimes when I really enjoy a book and I get disappointed by the author’s other works. Maybe my expectations are too high. Loved Geraldine Brooks People of the Book, discarded The Year of Wonders early on. Loved Elizabeth Kostova’s The Historian but was unimpressed with The Swan Thieves. I feel the same way. I really enjoyed What Alice Forgot, but was kind of meh about The Husband’s Secret. I read Big Little Lies first and loved it. I didn’t care too much for The Husband’s Secret either, but thoroughly enjoyed What Alice Forgot. Louise Penny is one of my favorites, and I often wish I could be in Three Pines, sipping hot cocoa at the cafe! No, I didn’t care for it much either. I read it all the way through, but I didn’t buy the story. Liked Big Little Lies a lot! Oh, I thought it was so good…but I could have done without the epilogue. I love Lianne Moriarty but I agree that The Husband’s Secret was disappointing. I loved Big Little Lies! I chime in with the others who loved Big Little Lies (my first Moriarty book which started me on a binge) and What Alice Forgot but didn’t think The Husband’s Secret was as good as the others. I love Louise Penny and the ambiance she creates in Three Pines and the multi-dimensional characters in her books. Looking forward to her latest which comes out soon. I haven’t read the other writers but am also looking for binge reads. Thanks, Anne. I just finished binge reading 3 of Lisa Moriarty’s books. I loved Big Little Lies, I thought The Husband’s Secret was very good and What Alice Forgot was good. What I liked about The Husband’s Secret was that the secret came out early on. The middle of the book was just so so. I loved the end of the book(epilogue) and I’m still thinking about it. It ranks right up there with my favorite all time ending, Gone Girl. Please don’t rake me over the coals for saying that! Seeing you mention Crossing to Safety made me so happy this morning. I adore that book, and now of course want to reread it. I had, shockingly, never heard of Stegner until about two years ago, and now Crossing to Safety would make my top 10 book list. Thank you for these recommendations. I’ve been working my way through your summer reading list and have really enjoyed them. I read The Secret Keeper at your recommendation last year and couldn’t wait to read the rest of her novels. So far, none have disappointed. I am starting The Forgotten Garden now! Just finished What Alice Forgot last night. I have devoured all of her works. I’ll be adding these recommendations to my list now and can’t wait to dive in! I can’t wait for her fifth, The Lake House, to come out this fall! I just started The Lake House for my Book Club’s January pick. I will check out Walkace Stegner. I have read through all of Kristen Hannah and The Nightingale is a stellar read! 1,000,000 sold in 8 months and a to-be movie. Karen White, The Tradd Street novels, #5 will be out next Summer. Based on an actual street in Charleston, SC and about ghost mysteries. Keeps the pages turning!! Mary Aluce Montoe is another binge author I love. environmental issues about the animal kingdom are covered in a wonderful family life environment. The Beach House and The Butterfly Garden are two favorites. In Christian fiction I love Liz Curtis Higgs Scotland novels. Happy reading all! Fall is the best time to curl around a great book! The Lake House is a great book club pick! Lots to talk about. Just finished The Nightingale and now want to binge read Kristin Hannah’s books- putting them on hold at the library. Deborah Harkness All Souls Trilogy., Diannah Gabaldon, Outlander series, Jojo Moyes, including Me Before You, and Me After You. I love Liane Moriarty and Sarah Addison Allan. So, I’m on the fence. I’m definitely willing to try one more Gamache novel because I want to read more of what Penny has to teach me about human nature, but if I encounter Agent Nichol again, I’m throwing the book at the wall! I recently read Still Life and agree with your response. I felt like most of the supporting characters were two-dimensional and frequently stereotypical. That being said, the depth of the more developed characters (Gamache, Clara) was really well done. I also appreciated the plot’s originality. Perhaps the great parts of this book made the flat characters stand out more harshly. I read book #2 in the series and liked it better, and am hoping Penny develops as the series progresses and hits her stride in future books. I hated Agent Nichols too, and almost quit the series for that reason. She is not through, but by the third or fourth book her storyline is complete (at least I think – I am on book 8 and we haven’t seen her almost at all since then). The characters become easier to follow as the novels progress. You meet new people in every book, but the general cast from Three Pines stays the same. 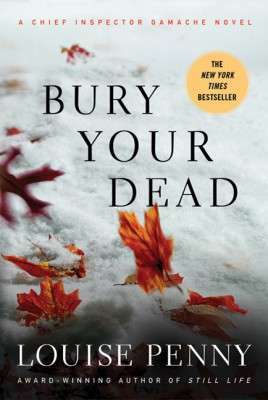 Bury Your Dead (book 5?) really knocked it out of the park for me. I hear you on Still Life. It’s a debut novel, and suffers from the typical rookie flaws: immature voice, undeveloped or type characters, confusing plot lines. Nevertheless, I thought it was good. Not amazing, but solid. I’m not sure I would have read on in the series (11 books is a BIG commitment!) had several friends with great taste not raved about the later books. I’m very glad I stuck it out. It’s incredible how much Penny has matured as a writer since book 1. I recently finished reading Still Life and felt the same way. I really liked Gamache, but many of the other characters were not memorable at all and the plot line was a little slow. However, I didn’t guess who the real killer was until the end and that’s a biggie. Often I will guess the killer’s identify before I’m halfway through the book. I also thought that maybe since it was the first in the series, there’s a lot of time spent setting up your people and sense of place. So, I’m going to give the series a chance and go on to read the second one. There are just too many bloggers on the internet who seem to love this series. Thanks for the recommendation. I understand what you guys are saying about Still Life, but believe me this series gets better every book! I check Penny’s website regularly for release dates on new installments, I read each book greedily, and mourn a little when they’re done. I have never had an author keep me so obsessed with a series. I do strongly suggest reading these books in order. The story takes us on many journeys with each character and I think to capture the real magic of the series is to know the whole story! Love everyone’s input here, looking forward to exploring the suggestions! I would be curious what you think of Sarah Jio’s books. They’re kind of light reads but I do think she’s a very good storyteller. Kate Morton is one of my favorites, as well as Susanna Kearsley. I have been enjoying reading the Outlander book series as well. I hope you get the chance, they’re so wonderful! The only advice I’d give on what order to read them is that Firebird (one of her more recent releases) is fantastic but is best appreciated if you’ve read Winter Sea (my favorite…I think) and Shadowy Horses. I practically inhale Kearsley books the second they release! Sadly, I’m caught up on her backlist so I have to wait for new releases now. She is SO excellent and I wish I could read each of her books over for the first time again. I wouldn’t say these are necessarily “light” reads, but I’ve been binging on Barbara Kingsolver this year: The Bean Trees, Animal Dreams, Homeland, and now Small Wonder. Recently read The Poisonwood Bible as well. I love her writing–it has sucked me in! I’ve read half her works and keep “meaning to” read the other half. Thanks for the reminder. I was going to say Barbara Kingsolver. I’ll read anything by her! My favorites are Prodigal Summer and Poisonwood Bible. Another not-light-but-must-read author is Chimamanda Ngozi Adichi. Sarah Addison Allen is the most fun to binge read! The Girl Who Chased the Moon and didn’t finish it and although I finished Lost Lake, I really didn’t love it. Everywhere I go, everyone talks about how much they love her books. Maybe I’ll have to go back and give her another try! Off the top of my head: Agatha Christie, Margaret Atwood, Tolkien, Diana Gabaldon, Austen, John Mortimer. I found myself nodding to almost all the authors here, hoping you would mention my favourites. =) I haven’t read anything by Leanne Penny but I’m adding her to my TBR list. I’ve also binge read Elin Hilderbrand this summer simply because her books are great beach reads but I don’t think she’s a repeat author, at least for me. I always recommend Liane Moriaty and Kate Morton as good gateway authors for friends wanting to read more. Mother Daughter Book Club? Rainbow Rowell? Another author I recently discovered-and probably wouldn’t have without a strong recommendation from a friend-is Elizabeth Joy Arnold. Start with The Book of Secrets, amazing, and in a way it’s a book about books…I binge-read that particular book in 2 days, and immediately bought the rest. They’re intense, lots of twists and the writing is delicious. i love Kate Morton, have read all of her books and have pre-ordered her new one. I really like Liane Moriarty, but not The Husband’s Secret. I binge read Elly Griffith’s Ruth Galloway books and every time she writes a new one I go back and reread them all. I fly right through Deborah Crombie’s mysteries and have reread most of them. I’m the same way with Elizabeth George’s mysteries. Louise Penny has popped up before me so many times recently that I will give her books a try now. I don’t usually like mysteries, but I recently discovered the Maisie Dobbs series and love them. I have had What Alice Forgot on my shelf for over a year, and I just purchased Crossing to Safety. Good reading ahead, for certain! Oh, yes the Maisie Dobbs series is a good one. He’s not to everyone’s taste, but I’ve read everything by Ian McEwan and eagerly await what’s coming out next. His virtuosity is really in his words and observations, which is why I find it funny that his books are often made into movies–their heart is as much in the writing as in the plot, in my opinion. Agreed! I just finished The Children Act this week. It was my third McEwan novel (following On Chesil Beach and Atonement), and I’m looking forward to reading his others. I read two of his novels years ago but nothing since. Thanks for the reminder. Love Kate Morton, Forgotten Garden is my favorite of hers. Excited that she has another book coming out. Also love Sarah Addison Allen. Whenever she has a new book out I rush out and buy it and read it straight through. My favorite of hers is The Sugar Queen. Also Marisa de Los Santos, especially Love Walked In. I read the first Louise Penny and while it was OK , I did not feel compelled to read any others. Others I love are Jeanne Ray: Step, Ball, Change and Eat Cake are laugh out, read out loud loud funny. She has several others that I have enjoyed as well. Also Agatha Christie and PD James. James’ books are more like literary novels that happen to have a mystery rather than just a mystery novel. Her characters are well developed and the stories are complex studies of human interactions. They can be a bit dark but so well done. Don’t judge her by Death at Pemberley ( or whatever that was). The Adam Dalgleish series is fabulous. I have not read any Wallace Stegner, but you have mentioned him a lot so he is going on the list. I also confess to only having read Pride and Prejudice by Austen, although I do have Emma and Sense and Sensibility on my shelves waiting. Have not read Liane Moriarity either. My binge recommendation is Josephine Tey. Her Alan Grant mysteries are intricate and cerebral without being obscure and inaccessible, and in the series she explores greed and family and morality and history. In fact, perhaps I’ll go through the set once again now that I think of it. Daughter of Time is one of my all time favorite novels! I love Josephine Tey and am so glad to read of someone else who enjoys her as well! Love this post! Just added a few books to my TBR list though 🙂 Thanks for the info!! I love binge-reading Rhys Bowen, especially her Royal Spyness series of cozy mysteries. (#9 was just released). It’s the most consistently good series I’ve ever read – I just do not get tired of them. Also, the romantic subplot in the series stays very clean, if that’s a priority for you. In my case, it’s usually not, but I am finding it another way that the series is different and refreshing. I have thoroughly enjoyed Estelle Ryan’s Genevieve Leonard series. There are six of them now but the first, The Gaugin Connection, is free on Kindle. A great collection of characters and good who-done-it’s! I’m not familiar with that author. Thanks for sharing. I am currently binge reading Hampton Sides. The hardest part is that his book (non-fiction history) are all 400+ pages and packed with tons of information. I started with In the Kingdom of Ice (about an 1880s expedition to the North Pole), then Hellhound on His Trail (about MLK and his killer), and now on to Blood and Thunder (about Kit Carson and the American West). He’s a fabulous writer and the books read like novels. You’re killing me here! But in a good way. 🙂 I just got thru a Liane Moriarty binge – finished with The Last Anniversary which I was not that fond of but loved the others and it intrigued me, too, just had a disappointing ending, I thought. Now I am setting Holds and Recommends at Download Destination (my new best friend) for these – and documenting them all in GoodReads. Fun list! Agree completely with Lianne Moriarity and Kate Morton. And Louise Penny will go on my TBR list right now. You have mentioned her before and I keep meaning to check her out! And I would add JoJo Moyes to the binge worthy list. After reading Me Before You a few years ago, I couldn’t get enough of her! Jojo Moyes would be a great addition here! Ruth Rendell!!! Not all of her books are fabulous, but most of them are. She has written many under her own name and many as Barbara Vine (which may be indexed under either name). I just recently read one of her books for the first time and was disappointed with it (The Child’s Child) so I immediately turned to another Rendell that I’d read once but couldn’t recall well (Shake Hands Forever) and I’m now comfortably getting my Rendell fix! I love so many of the authors mentioned here: Kate Morton, Liane Moriarty, Louise Penny, Elizabeth George, Susanna Kearsley, Jodi Picoult…. I’ll throw out one I haven’t seen mentioned yet; Ivan Doig. I love his series set in Montana, which includes Dancing and the Rascal Fair, English Creek, and Ride with Me Mariah Montana. They’re fabulous, and carry the story of families over many many years and generations. Anything written by Douglas Preston & Lincoln Child is unputdownable! I haven’t read those yet but that’s what I keep hearing! Oooh I loved this post!! I’ve read many of these already and enjoyed them a lot. 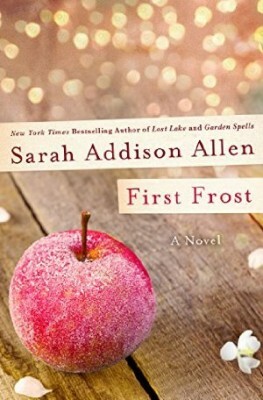 I have to say I felt the opposite about Garden Spells vs First Frost – partly because I read First Frost first – I loved the characters SO much but really hated Garden Spells. Another by the same author not mentioned – “Lost Lake” I really enjoyed that one, despite the weird magical alligator. I REALLY liked Husbands Secret but didn’t bother finishing Big Little Lies, I just really didn’t like it at all. 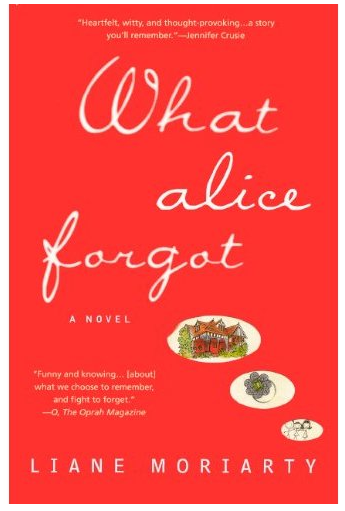 I loved What Alice Forgot – though I found it odd that both Husband Secret and What Alice Forgot were from the alternating perspectives of three women. In What Alice Forgot I started skimming through the chapter from the third woman because she felt so superfluous. 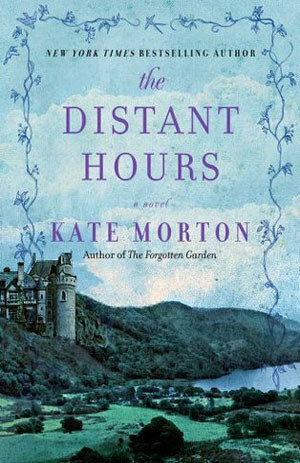 Distant Hours was my favorite Kate Morton – I might have to try reading some of the others again I haven’t finished any of the others yet. I’m on holidays and am reading The Secret Keeper right now!! I love how Morton plants so many seeds of suspense at the beginning — once you’ve read 5 pages it’s impossible not to continue. I first read ANOTHER Moriarty, Laura Moriarty, a few years ago — I discovered her novel The Center of Everything and loved it, and quickly rushed to read everything else she’d written. She’s excellent. The Chaperone is her most recent (2012); I particularly enjoyed that one. This is great – so many to add to the list. I was going to say Sarah Addison Allen before I kept reading and saw that you already have her. I’ve got one of her books left and they are so enjoyable! Thanks for the recommendations. I’m going to try Louise Penny next. I loved the Jeffrey Archer Clifton Chronicles series – maybe not excellent writing per say but great summer page turners. Agree with lots of the comments here! For me, it’s Georgette Heyer. I have to be careful about re-reading any of her books because it’s sure to send me off on a huge re-reading binge. There are quite a few I love, but I’d start with Sylvester, Grand Sophy, Bath Tangle, Cotillion, Frederica, Arabella, Lady of Quality, Regency Buck, or Venetia. I’ve only read The Grand Sophy so far. Thanks for the recommendations! I’d add Black Sheep and Sprig Muslin to your list. Ellis Peters’ marvelous Brother Cadfael mysteries are really easy to binge read, as are Patrick O’Brian’s Aubrey/Maturin books. Can’t believe I forgot Black Sheep! Love Georgette Hyer. Lion’s Cub is my favorite! Have you read These Old Shades, as well? I love that one and Devil’s Cub! I don’t usually recommend starting with them, but I agree that they’re great! I definitely want to read the Louise Penny books after seeing them pop up on so many of your posts, but I just don’t want to get tangled up in a long series right now. (And no, I don’t trust myself to just read one every now and again.) Oh the dilemma! I love the Flavia de Luce books, especially on audio. The Maisie Dobbs series is fun too, though I feel like Maisie becomes a bit too much of a sad sack and it’s getting old. If you love Stegner you need to read All the Little Live Things. I finished it last night and loved it. Thanks so much for the Stegner recommendation. This is such an amazing post! Thanks to you, I’ve added Louise Penny to my must-read list. I plan on picking up Still Life in the fall.? wait to pick up The Accident. Mission Flats is up next. As always, thanks for the recommendations. I can’t wait to check out de los Santos! I binged awhile ago and read a few Sweet Valley High novels in a row for nostalgia, but I don’t usually read like that 🙂 I like to mix things up… a classic, followed by a mystery, followed by non fiction, etc. i love Sarah Addiison Allen. I love the magic in her writing.thanks for giving us new ideas. My binge reading is Rosamunde Pilcher and Jude Deveraux all of the most! Binge reading – what a great post! It so describes what I do. My suggestions: Susan Hill. I first read The Woman in Black, and it triggered an interest in books with a “gothic” feel. I only wish she wrote more and they were longer. Naomi Novik. Who can resist the combination of Historical fiction in the Napoleonic wars with dragons? The books are specially good as audiobooks , and I binge listened to them! For those of you who like murder mysteries, you must try The Phryne Fisher mysteries by Kerry Grrenwood. Set in Australia, post WWI, the descriptions of the fashion, food, etc. are reason enough to read them. Yes, Netflix runs a pale imitation of the books called Miss Fisher Misteries, which I still enjoy, but the books are (say it with me) SO much better! I’m so excited to hear this. I like the Netflix show, but I always like the books the shows are made from, anyway. I’m glad to have a new series to start picking up. I pick my authors, then start with book one, and progress. It’s so ingrained, I hate it. With Agatha Christie, it never mattered, but with Sue Grafton, Janet Evanovich, and Anne Perry, it’s jarring to read out of order. So I binge read an author until I run out of books. You might like Anne Perry, especially her WWI series with Matthew Reavley. I like the William Monk series. I love the historical detail. What an escape! Well, I challenge you not to binge read Rosamund Pilcher (or at least the “big” novels) once you start! 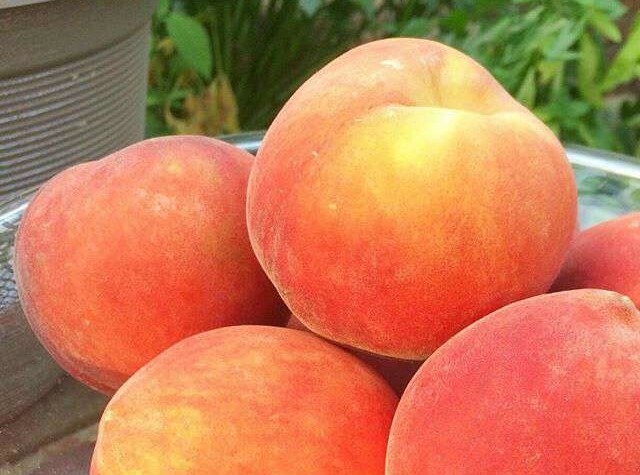 So rich, comforting and lovely! I flew through lots of Philippa Gregory books last summer and loved them! I haven’t read anything by her yet. Thanks for the recommendation! You will love Philippa Gregory! 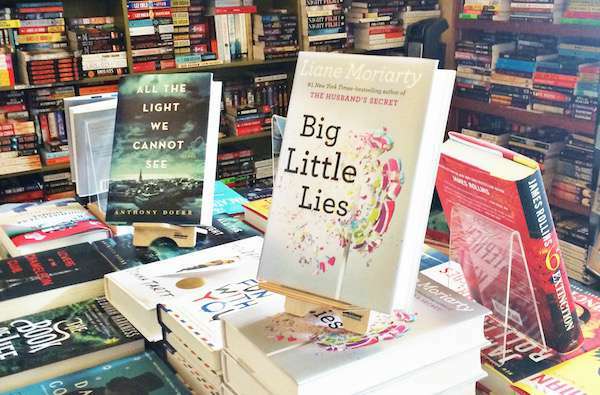 I’ve been binge reading Lianne Moriarty based on your recommendations – SO GOOD! I am a huge fan of Kate Morton – can’t wait for her new book. The Secret Keeper is also my favorite of her novels. Like you said – it’s like you can hear and feel the bombs dropping. It’s just so well written and the story is very moving. I’m going to have to try Louise Penny. A number of years ago, I binge read books by John Case (pseudonym) – I would describe his books as scientific thrillers. Great post! I love reading all the other suggestions! Could you name a book to start with for Susanna Kearsley or Karen White?? For Susanna Kearsley, I definitely recommend starting with Winter Sea, no contest. All her books are great, but that one will hook you for sure. For three of her books, I’d recommend this order. All the others can be read in any order. I agree with Raela on Susanna Kearsley’s books. All of them are wonderful! As for Karen White, I started with her Tradd Street series first and got hooked on her writing. I just happened to see The House on Tradd Street (Book One) on my library’s ‘new’ books shelf and liked the cover. 🙂 Moreover, I love any book set in Charleston, SC. That series will keep you on the edge of your seat and up late at night. But I also really liked A Long Time Gone, The Beach Trees, Sea Change, and On Folly Beach a lot too. You won’t go wrong starting with any of her titles! One more Karen White book that I really love is Pieces of the Heart. Wonderful book! I got hooked on her through the Tradd Street series as well. One of the authors that I haven’t seen listed here but is one of my favorites is Dorothea Benton Frank. Her books are mostly set in the vicinity of Charleston, and I love her strong and witty female characters. Thanks for sharing these books! I’m always looking for book series to binge on 😉 I think I’m going to start with Louise Penny series! Thanks for posting! Another good mystery series is Laurie R. King’s Mary Russell & Sherlock Holmes series, beginning with The Beekeeper’s Apprentice. What an awesome idea for a list! I’ve been binge reading Kate Morton this summer and have Penny Louise’s Still Life on hold at the library, definitely going to be checking the rest of these out, I’ve only been following your blog for a few weeks but I feel like we have the same taste so I trust your recommendations. I did just read my first Agatha Christie book this week (I know, about 100 years late to that party) I’ll definitely be reading more of those soon! i too love Louise Penney and am making my way throught them date ordered. This has been interrupted by Susan Hill series of Simon Serrailler. I love the way Susan crafts her books and how they are more psychologically driven than crime driven/Corey details. Plus, she has a whole village of characters and I love watching their lives u fold. I immediately went tonthe library and picked up Garden Spells. I’ve binge read Kristin Hannah in the past. I love the strong female relationships that are a constant theme in her books! I’ve binge read Sarah Addison Allen, Louise Penny, and Lianne Moriarty from your list. Every once in awhile, I get on a Jane Austen kick, too. Other authors that I started, then had to binge read are Alexander McCall Smith, Susanna Kearsley, Alan Bradley, and Charles Todd. I also have a thing for light weight type mysteries when I need some light, fun reading. Things like Joanna Fluke or other series, usually something with a woman who has a small business and solves mysteries. Another Liane Moriarty fan here. I started reading her books on the recommendation of a dear friend and absolutely fell in love with them. I have to say, of the different Aussie others I’ve read so far (four or five, I think) I’ve loved them all. They’re my ideal blend of good pacing, smart writing and quirky, off-beat characterization. Melina Marcetta is another favourite of mine – possible “the” favourite, for me at least. Fun discovery for me: Liane Moriarty and Jaclyn Moriarty are sisters. I’ve been reading Jaclyn Moriarty’s books since I was a teenager and never realized there was someone else in the family who wrote! Talent runs in the family, it seems. 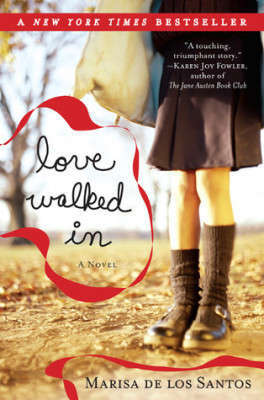 I adore ALL Liane Moriarty’s books – I’ve read 4 now. What Alice Forgot, Three Wishes, The last anniversary and The Husband’s Secret. Loved them all. 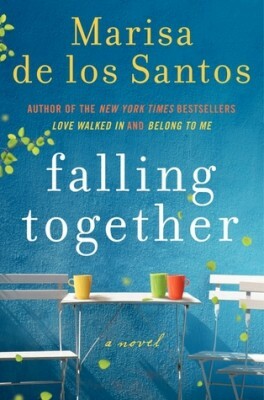 I’ve read 2 of Marisa de los Santos’s books too and loved the one you did, Anne. Other authors I have binge-read are another Moriary: Sinead Moriarty – this one is Irish and writes GREAT stories. Lauren Willig: As you might have guessed I love a cozy mystery and her Pink Carnation series is the right blend of mystery and romance. Rachel Hoare: My current binge read new (to me) author. Jane Austen: I’ve been reading Jane for 30 years and have read them all many times but I am rereading them all this month. Sometimes I binge read a genre. Latest one was autobiographies and biographies. Still have four of them on the TBR shelf waiting for me. I’ll definitely be back! I’ve tried to start a book blog myself but have been sadly lacking in time to keep up with it. As for other binge-worthy authors, I would add Alan Bradley’s Flavia series and Alexander McCall Smith’s 44 Scotland series. My TBR list has gotten much fatter after I have made my way through this post. I will need to live a very very long life to get through it! Thanks for all the thoughtful recommendations. Yesterday after I read this post, I went on Amazon and found Defending Jacob, mentioned above, on sale for $2.99, grabbed it up! Also, I’ve been wanting to read something by Jodi Picoult, never read her and everyone raves about her. Found her book Leaving Time for $1.99, grabbed that too. Yes, yes and YES to everything you’ve said Anne! I’ve burned through Liane Moriarty, and thanks to you have now discovered Kate Morton – although I have to smile at the irony of finding her on your blog half-way across the world from me, when she was born in the next town over from where I was, in the same year!!!!!! I love finding new-to-me authors, especially with an already-extensive catalogue of titles to settle in with and get to know. I’m absolutely LOVING getting to know the characters of Three Pines, and waver between wanting to devour the series as quickly as possible or take my time (and yes, I would totally want to move there too if it were a real place!!!). Other fave authors/series for me (esp for binge reading) include Bryce Courtenay, Diana Gabaldon, Alexander McCall Smith, Nicole Alexander (Australian author), John Marsden (Aus YA author), Jojo Moyes, Elizabeth Berg, Diane Chamberlain, Jennifer Chiaverini (Elm Creek Quilts series), Monica McInerney (another Aus author). Oh, yes yes yes to Jennifer Chiaverini! I finally caught up on the Elm Creek Quilts series this year and am reading Sonoma Rose now. Definitely one of my favourites of the series, but I’m fond of them all. It’s so rare to find a book about crafting (be it knitting, quilting, sewing …) that has more than a teaspoon’s worth about the craft! Absolutely Victoria, and having read the series over the past 15 years, I’ve come to love the characters almost like they’re ‘real’ friends!! If you love Kate Morton, you will feel the same about Susan Meissner. I sort of binge-read Tracy Chevalier by accident. I frequent secondhand bookstores (there’s a big secondhand bookstore chain where I live), and I kept finding her books. I think I’ve read all but two of her books by now. Louise Penny kept turning up in the piles too, and I think this post is a sign I should buy those books next time. I am a big Louise Penny fan. But I’ve recently been binge reading books by Susanna Kearsley, which sound to me a lot like those Kate Morton books you’ve pointed out. (And now I’m off to the library!) I really like the books that have the two timelines–if they are done well. Another great read I’ve just finished is Juliet Blackwell’s “The Paris Key,” in which she juggle THREE timelines very well. She writes a mystery series, as well, but this book is a standalone. If you like two timelines, you may want to read Lucinda Riley! She’s one of my favorite authors! Kristin Hannah and Jodi Picoult. Luanne Rice as well! I adore Rainbow Rowell! I have read all but one of her books and they are ‘unputdownable’ and totally reread-able. I will be checking out some of the authors mentioned as well. 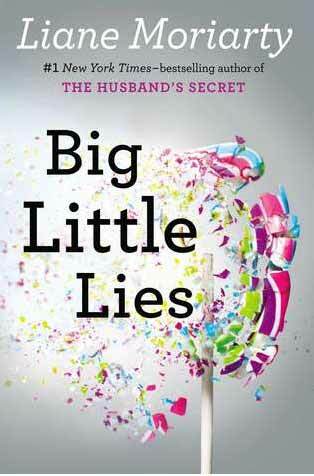 I totally enjoyed The Husband’s Secret and Big Little Lies by Liane Moriarty and would love to try out her other books. And Rainbow Rowell has a new one coming out October 6! This summer, I binge read most of T. Greenwood’s books. Love her style! I also adore Francine Rivers. My fave is Redeeming Love, but I also really liked The Atonement Child. I meant to list Francine Rivers in my comments! Dang! I lOVED Redeeming Love! I always recommend it! Just finished Me Before you by JoJo Moyes and think her writing is right up my alley. I loved One Plus One and, most recently MBY. She’s one to get caught up with! Please check out anything from Sarah Jio. She is excellent. Hi Anne, I loved this blog post. 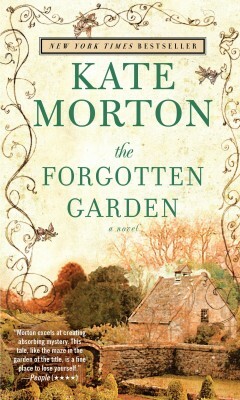 I have almost finished ‘The Forgotten Garden’ by Kate Morton from your recommendation and have absolutely loved it. It reminds me of some of my other favourite reads- ‘Possession’ and ‘The Children’s Book’ by A.S. Byatt and ‘The Tea Rose’ trilogy by Jennifer Donnelly. I’m going to work my way through the rest of Kate Morton’s books now- thanks again for the recommendation. Thanks for this, what a good topic for a post. 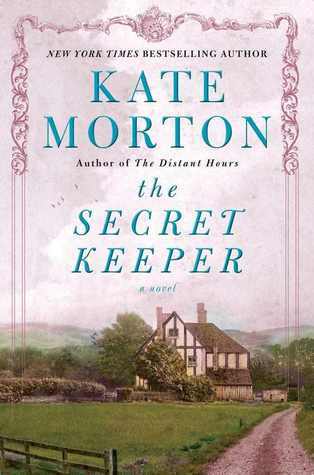 I read The Secret Keeper recently and loved it, so will definitely try more Kate Morton when I get the chance. Magical realism is one of my favourite genres so will also try Sarah Addison Allen. Other authors I have binged on are Diana Gabaldon (for the story and characters more than the writing) and Barbara Kingsolver (she writes so well and her stories have so much depth). Oh and David Mitchell is another one – he is very good at managing multiple timelines and converging different stories. Haruki Murakami was another of my discoveries from 2015 that I may have binged on a little, but I do need to space him out with some others in between. 1Q84 was brilliant. For a good mystery binge: Anne Perry, historical, Dorothy Sayers, Ngaio Marsh, Margery Allingham, Minette Walters, Ruth Rendell, my all time favorite, at the moment, Martha Grimes. Solid good writing: Margaret Atwood, Anne Tyler, Fannie Flagg, Lorrie Moore, E. L. Doctorow. I have a lot of other categories, but these are the favorites, and I thank you all for such great participation and answers. Ah, I forgot my favorite binge reread, ever ~ The HitchHiker’s Guide to the Galaxy. I’ve reread it more than any other series. And I laugh every time. Douglas Adams, gone too soon. my binge worthy author is Colleen Hoover! Her 2 last books I couldn’t put down!! Diana Gabaldon all the way! The Wanderer series is amazing and entrancing. Ever read Joshilyn Jackson? I started with gods in Alabama and have since picked up everything she publishes. Very Southern and real and poignant and always surprising. I’ve only read Someone Else’s Love Story and half of The Opposite of Everyone but I intend to read more! Since I tend to read in series and have many favorite authors, I will try and stick to those authors not mentioned so far or very little. Lauren Willig is one of my faves! I have obsessively re-read the Outlander series. At times, I have read them all only to finish the series and start back at the beginning. I love the characters and feel like they are real people. Jaime and Claire’s marriage has made mine better. 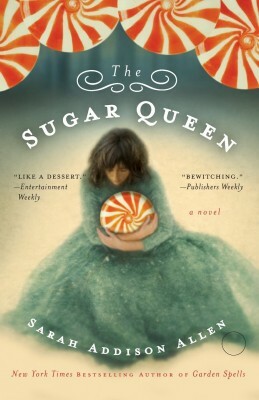 Years ago I stumbled upon The Sugar Queen by Sarah Addison and after I finished it, I devoured her others (and still do when a new one comes out). I did the same with the Her Royal Spyness series by Rhys Bowen. 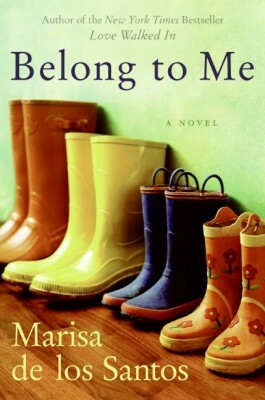 Love Kate Morton, JoJo Moyes, Ann Perry and many others mentioned. I also have binge read an Irish author, Tana French and enjoy Jo Nesbo mysteries. John Hart is a favorite! Love this blog, Anne. I am new here. I read as many possible novels on WWII, and suggest 2 by Kristen Hannah, Winter Garden, older and The Nightingale, pub in 2015. It has become my most favorite book of all time and all genres. A movie-to-be. Recently I read Me Before You by JoJo Myers, and will now read as many of her books as I can access and afford. Christian Fiction by Liz Curtis Higgs never fails to amaze me, and any fiction by George MacDonald (died 1905) is worth every penny. Madeline L’Engle is a childhood fiction writer that I love and try to reread every year, A Wrinkle In Time and A Wind in the Door, favorites. Anything by her. Meg Waite Clayton strengthens women cracking glass ceilings. Move her newest Te Race for Paris, so inspiring and real. Intelligent and talented writer. So…now you are introduced to me. PS – I also collect anything by Rosamunde Pilcher. Timeless! Ah, out of all of them, I’ve only read a couple Kate Morton books. Loved them, and must read more! I’ve been wanting to read Louise Penny, but another book always gets into the line up first! I love Lucinda Riley (read all but the two most recent), Liz Curtis Higgs (her series that starts with Thorn in my Heart, oh my it’s delicious and addicting), and most recently, Maeve Binchy (just started with Maeve but I do love her writing style and the fact that her stories are based in Ireland). I love Ashburn by Julia Erickson. She also wrote Diamond. It is a 3 book series and she is working on book 3 now. Fantastic reading! I couldn’t put them down! Check them out on Amazon. Have you ever read Marne Davis Kellogg’s Kick Keswick series? Kick is the most wonderful heroine–she’s a jewel thief who’s turned her life around. Sort of. I read these books every year. They are so much fun! I too love Kate Morton especially The Secret Garden one , I am Australian and enjoy Fiona MacIntosh and Monica McInerney, I also enjoy Kate Forsyth , such lush writing it’s Devine. Thanks for the suggestions! DEFINITELY binge read everything by Elizabeth Berg, and Alan Bradley’s “Flavia de Luce” series! I’ve binge read the books of Liane Moriarty and Jodi Picoult. Now, on another binge reading mania with the books of Diane Chamberlain. Very entertaining! Just the right amount of heart, drama and mystery. I’m on her 6th book already! If you are I interested in creepy mystery set in Ireland, Tana French is amazing. It’s not exactly a series but it builds, the first is In the Woods and it’s my least favorite. Power through though because the Likeness is the second and it’s amazing. I completely agree! The Likeness is terrific. I like all of French’s books but The Likeness is the best! I just discovered Susanna Kearsley. She writes delicious Gothic novels that are at mostly set in modern day. I read The Winter Sea last week, which was listed as a book enjoyed by one of my favorite authors (Monica McCarty who writes Scottish romance). Yesterday, I read The Shadowy Horses, and today I’m reading The Rose Garden. I LOVE to binge read authors. I also love all these mentioned in the comments. I would add Helen Gaynor to this list, as well as Lucinda Riley. I have just discovered Lousie Penny, and have ordered a couple more of her books. Gaining new knowledge from all your comments. Keep them coming! Yes! Stegner, Cormac McCarthy, Atwood, and the most recent binge, which started with Bel Canto (and has a new novel out this year) Ann Patchett. Maeve Binchy – I cannot get enough of her writing. Her characters are so complete, and her dialogue is so believable. On top of that, I want to be in the beautiful places where her stories take place. She so often throws in a twist, and yet it is all so realistic. I love everything written by Toni Morrison and Lesley Lokko. My favorite being Bitter Chocolate. I LOVED Garden Spells. A friend borrowed me a copy and I went and immediately bought it. Sadly, I have not read any of her othrr works. Sarah Addison Allen is one of my absolute favorites. I met her at a book signing a couple of years ago and she is her books in human form. Meeting her made reading her books even better! Kate Morton is great as well. 2 of my other favorites are Sarah Jio and Susanna Kearsley. I love Sarah Addison Allen!! And I love binge reading all of one author’s books at a time. Last year was Jo Nesbo for me, but before that was my absolute favorite– Michael Connelly. 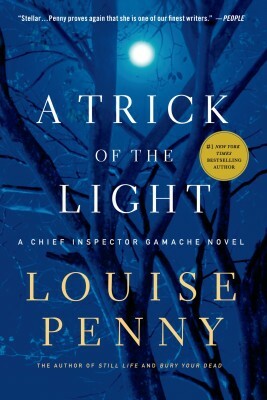 I’ve been wanting to read the Chief Inspector Gamache series by Louise Penny for a while but haven’t gotten around to it yet. Maybe 2017 is the year! I love everything Anita Shreve ever wrote (she’s perhaps most famous for The Pilot’s Wife, which was turned into a movie). I also love Curtis Sittenfeld’s writing and wish there were more. I’ve heard great things about Shreve’s new book coming out in a few months! It’s called The Stars Are Fire. I love that title! I binged on Deanna Raybourn’s Lady Julia series. I’m about to start the second book in her Veronica Speedwell series, but I hate waiting for the new ones to arrive! I’d much rather have it all at once. I haven’t read the standalone books yet but I wonder how they compare. Louise Penny’s novels hooked me in. Started in the middle and went back to ‘Still Life’ worth it to meet the town’s residents. Menna van Praag – she is like the British Sarah Addison Allen and I’ve devoured everything she’s ever published! …also Sarah Jio, Hazel Gaynor, Barbara O’Neal, Jenny Colgan, Susan Meissner, Sarah Creech, Stephanie Knipper, Mary Rickert…I could keep going – so many great authors out there. Can you tell me your favorite Susan Meissner? I have been meaning to read one of hers and would love a rec of where to start! My top 3 right now are: A Fall of Marigolds, Secrets of a Charmed Life, and Lady in Waiting, which I just finished last week. There a few more that I haven’t gotten around to reading yet. Happy reading! Anything by Kristen Hannah, Tradd Street Mysteries by Karen White, for light reading…..Fannie Flagg for humor, and Helen Gaynor for Anytime. I love Linda Fairstein! The Alex Cooper series are like a book version of law and order SVU. Great characters and even better history of NYC! I’ve read 14/18 of the series in the last 3 weeks and will prob finish the rest by next week. Alice Hoffman and Maggie O’Farrell. Ive just been binge reading annelie wendeberg’s Dr Anna Kronberg series. They’re Victorian, rather dark, and include Sherlock Holmes in an interesting way way. A really intense and spell I ding read whether you’re a Holmes fan or not. Just been introduced to what I snobbish dismissed as chick lit.Now haunt thrift shops and book fairs looking for PENNY VINCENZI..have eight on my shelves so far..and Marian Keyes.Already done Lianne Moriarty..waiting for Nine Perfect Starangers to arrive from England,and Kate Morton.Latter’s latest a great disappointment.Love having new authors to “collect”so will search out your other two writers..